The word "hardware"or "hardware", can often be found on sites associated with the construction and repair. They represent various metal products. To the hardware include a fairly wide range of metal products. On purpose they are divided into industrial and hardware broad purpose. The latter include products that are used in everyday life – knives and scissors, agricultural items, grinding balls mills, saws, etc. wire products for industrial use in the railway construction (crutches and rivets). These include Telegraph and telephone hooks, metal wire, mesh, steel tape, various fasteners, adjustable clevis pins, spring washers, nails, pins, screws, screws, nuts, bolts. Also the hardware can be divided by size and species. Fasteners are also called "fixing metiz". It is used to connect the various parts and pieces. 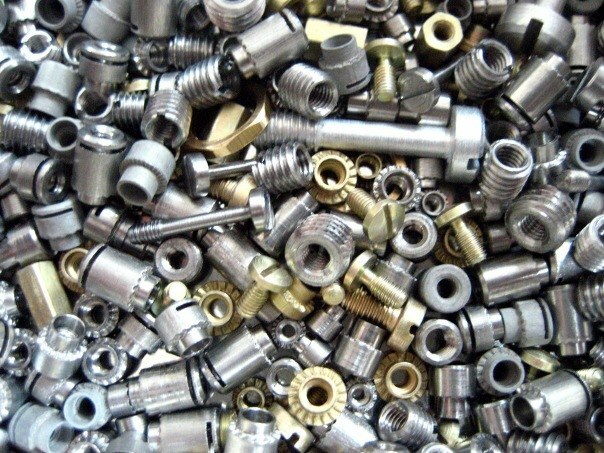 Widely used fasteners in the furniture factories, the repair, construction and installation works. To join parts of different materials require different fasteners metiz.Special construction fasteners metiz designed to connect the various parts of building structures and machine parts. This group is made up screws, nuts, bolts, screws, rivets, etc. of the product. This type of fastener is divided into the metric product (hardware a pitch of a certain size), and products of various kinds and configurations. The first group includes nuts, screws, bolts, metric stud, riveting nut. The second group consists of screws, screws, anchors, dowels. Most often, metal building fasteners are called hardware.Riveting nut – a relatively new element in today's construction market. It is similar to the Bonk, but it can be used on already painted surface. Also there is no need to access the surfaces on both sides. Riveting nut is made of stainless steel, steel and aluminum. The type of head distinguish flat and countersunk, and the outer surface is hexagonal, cylindrical, and corrugated products.Riveting nut used in aircraft, automotive, shipbuilding, instrumentation, installation equipment, etc. Metric stud – rod threaded at both ends. It can be of different lengths. Usually used when installing suspended ceilings.Bolt – rod with a hexagonal or square head. Has a full or incomplete thread for screwing the nut (fastening of the fastener with internal thread).The screw – rod having a head with a slot screwdriver. Most often used to attach items to the work surface.